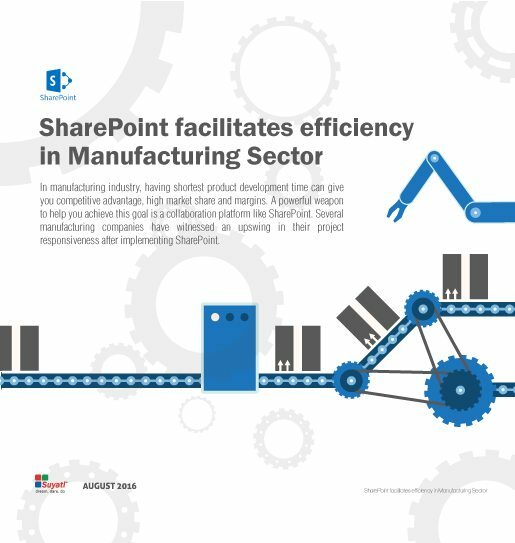 Several manufacturing companies who have migrated from traditional workflow to SharePoint are able to achieve more, make better decisions and achieve quantifiable results. There are numerous ways in which your organisation can benefit from SharePoint. For the entire production cycle in a manufacturing company to function smoothly, a clear, timely communication channel is necessary among all the internal departments (the Facilities Management, Supply Chain Management, Sales & Marketing, LOB Integration, Safety and Compliance department). Installing SharePoint application helps employees to work together as a team, as well as make appropriate data-driven decisions. To have full access, download the whitepaper for free now!